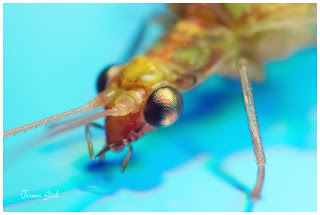 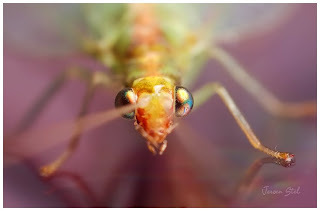 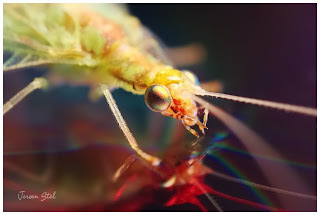 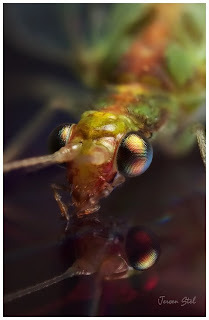 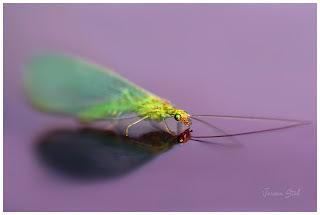 One of my favorite insects is the Green Lacewing. 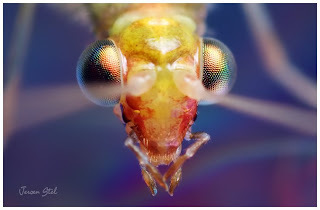 This mainly has to do with their enormous oily eyes and the fact that one of the first prizes i ever won in a photography competition was a photograph of a mirrored Green Lacewing. 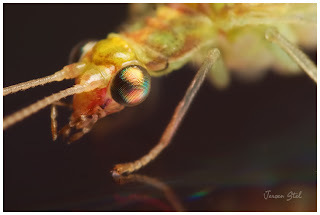 When i saw this one this morning it's eyes inspired we to photograph it on the backside of a DVD wich has the same oily colours and can provide some stunning light effects. 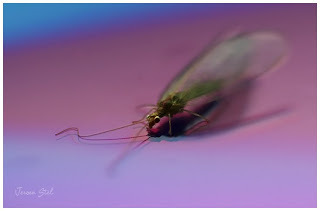 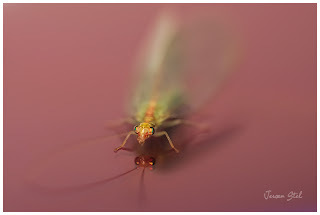 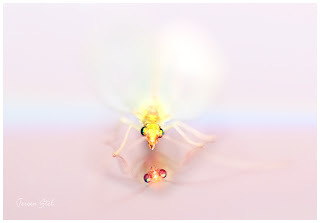 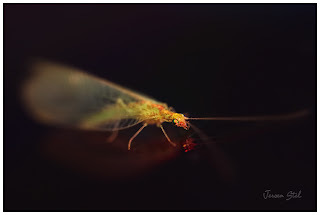 Here's a series of the Green Lacewing i shot this morning.